CriticalAngling: New Smallmouth Bass Flyfishing Video! New Smallmouth Bass Flyfishing Video! I've been working on a lot of projects lately, which partially explains my blogging slump. One of these projects has been trying to do more filming on fishing trips. I've been using a GoPro Hero 4 silver and a basic Nikon D series--no super high end gear or drones yet. I hope you enjoy the video. 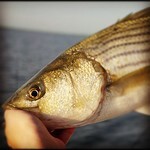 Please take a moment and check out another project of mine -- Motion Flyfishing -- at www.motionflyfishing.com. I'm running high quality flyfishing instruction and super fun group trips. Keep up on on instagram & Twitter: @motionflyfish. More on this to come!